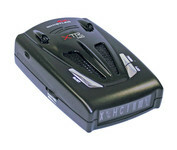 The XRS 9445 provides total protection and peace of mind with the Xtreme Range Superheterodyne technology, detecting all 14 radar/laser bands with reliable and proven performance. 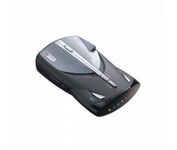 COBRA ESD6060 6-Band ESD with VG-2 Undetectability .Detects X, K and Ka super-wideband radar Warns driver of road hazards ahead from systems equipped with Safety Alert transmitters VG-2 alert. 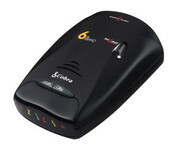 provides immunity to VG-2 detection Volume signal strength Mute and city/highway switches. High Visibility Text Display. All Band. 360 Deg. Total Perimeter Protection. VG-2 Cloaking Technology. Safety Warning System. City Mode. Quiet Mode. Vehicle Battery Saver. 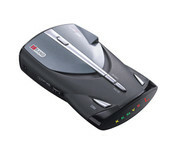 The XRS 9440 provides total protection and peace of mind with Xtreme Range Superheterodyne technology, detecting 12 radar/laser bands with reliable and proven performance. 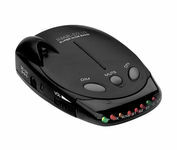 It comes with an UltraBright Data Display, Voice Alert, Safety Alert, Strobe Alert and many other Cobra feature mainstays.